The Master of Ceremonies for the evening will be DJ Glow! Can't make the concert? You can support by donating online to sponsor your own lifesaver! 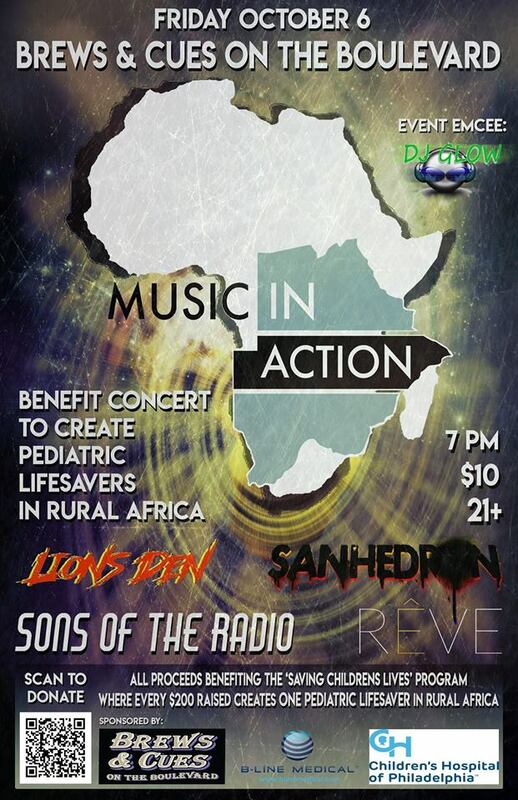 100% of all funds raised at Music In Action benefit concerts are donated to the "Saving Children's Lives" program, which provides proper Basic Life Support (BLS) training to healthcare providers in rural African communities (in Botswana and Tanzania). Through Saving Children's Lives, every $200 donation supports the training of one "lifesaver", who will use the knowledge and skills they gain for their career to treat hundreds of seriously ill children. A gift that keeps on giving! This year, every dollar up to $10K will be matched by the B-Line Medical Charitable Foundation. If we raise $10k and take advantage of the fundmatching, we'll have rasied enough to sponsor the training of 100 lifesavers this year! We'll be raffling off Beats Headphones, Gift Cards, and Benefit Concert merch, and more throughout the event.